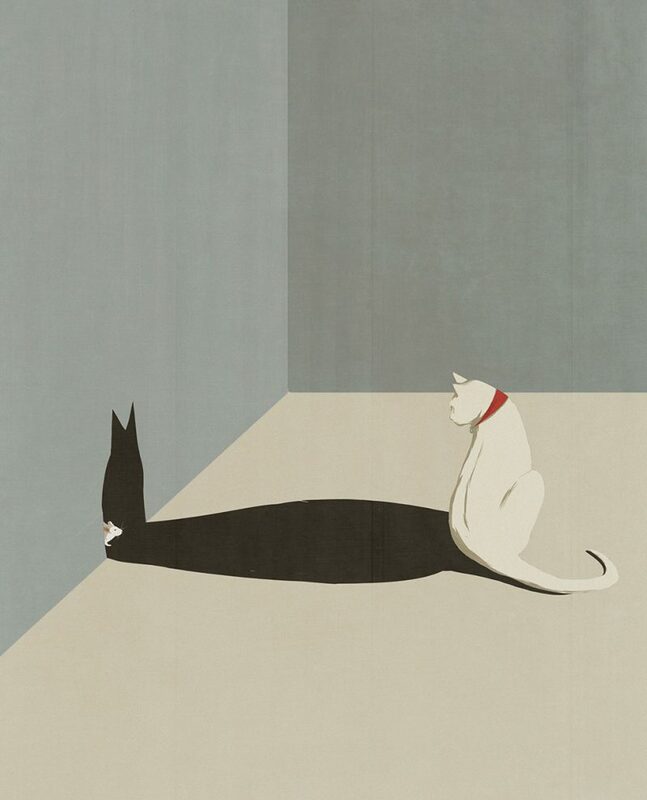 Self-taught Italian illustrator Andrea Ucini draws scenes which reveal hidden plot lines, adding a conceptual twist to his minimalistic imagery. Within Ucini’s illustrations one can sneak a peek behind the veil of a shadow or streetlamp, uncovering another world or just a curious rodent. In addition to working as an illustrator, Ucini also composes music and plays several instruments, a pastime that he sites as a strong influence for his illustrations which have been included in Wired, Scientific America, Entrepreneur Magazine, and more. You can view more of the Denmark-based illustrator’s work on his Instagram, Behance, and Anna Goodson Illustration Agencywhere he is currently represented.